Once young men routinely floated their goods—products of the farms and settlements of newly formed states and territories—down the Ohio, Wabash, and Illinois rivers to the Mississippi and on to New Orleans. They were called Kaintucks, even though they weren’t all Kentuckians. Sometimes their boats were called Kaintucks, too. These vessels were not the storied riverboat steamers, with their luxurious accommodation, gambling, and shows. Kaintucks traveled by flatboats, simple crafts designed to use the rivers’ current for propulsion, and made flat to facilitate passage over the shallows as well as the deep. When the Kaintucks got to New Orleans they sold their cargo. Then they dismantled their flatboat and sold the lumber too, because it would be useless traveling upstream. How did they get back home? The lucky ones took horses; most of them walked. 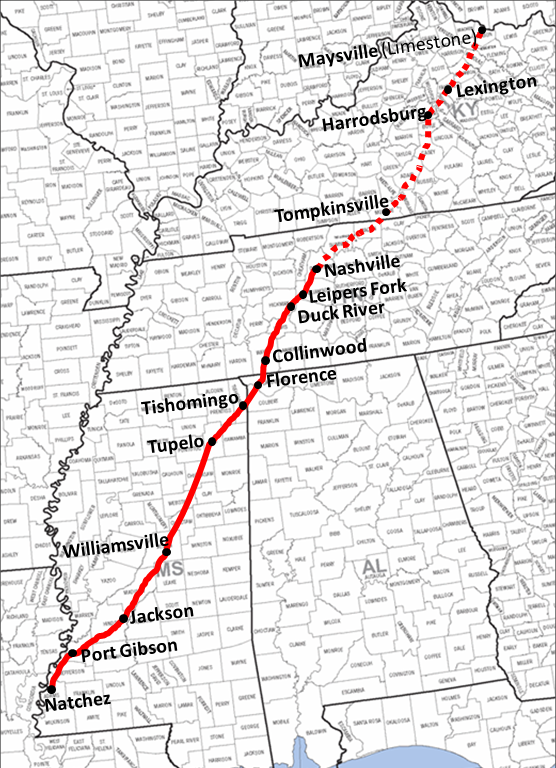 They took the Natchez Trace from Natchez, above New Orleans on the river, overland to Nashville Tennessee. Over centuries the trail witnessed a wealth of human striving, heroism, prosperity, crime, suffering, and horror—the gamut of human existence. 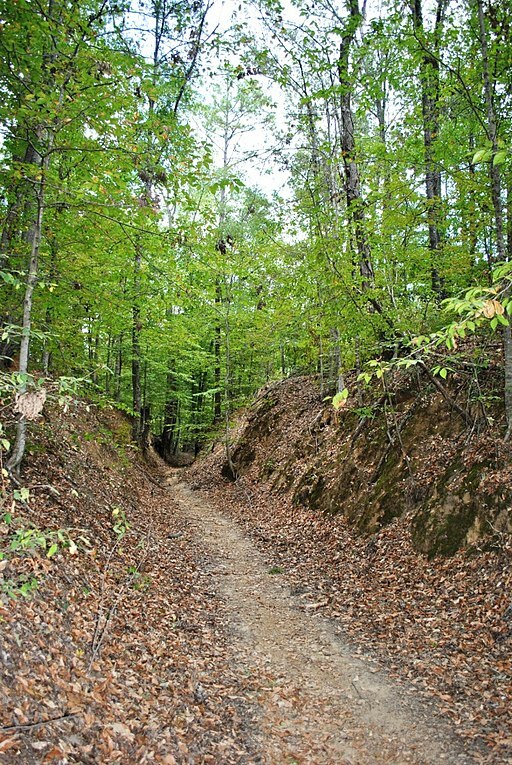 One famous Kaintuck took two such trips as a young man, and like most he walked home via the Natchez Trace. Abraham Lincoln later said that his hatred for the institution of slavery was born when he saw the slave auctions in New Orleans on those trips. Historians believe the trace was initially laid out by herds of buffalo and other animals traveling from the Mississippi to salt licks near Nashville. It began as a series of disjointed paths that wound through forest and wetlands, across fields, and past mound builder sites, and that were certainly well-used by native populations long before European settlement. Throughout most of the eighteenth century France controlled the Mississippi and the territory covered by the Trace. They founded the city of Natchez in 1716, but lost control of land east of the Mississippi (including Natchez and the Trace) after the French and Indian War. A Frenchman left the first description of the Trace in 1742, calling its conditions “miserable.” At one point France ceded New Orleans and their territories to the west to Spain. The divide between the Chickasaw nation and the United States cut the trace when Tennessee became a state in 1796. The political complexities were ultimately resolved through a series of Indian Wars, treaties, and the Louisiana purchase, stories best told elsewhere. Trade picked up, though the Trace itself continued to be wild, difficult, and plagued by highwaymen. President Jefferson called for the route to be expanded in order to provide links from the Midwest states and the territories to the southwest. He called it “The Columbian Highway.” It became our first national road. The era of the Kaintucks flourished. Jefferson’s friend Meriwether Lewis died of gunshots along the road, although it is unclear whether he was murdered or committed suicide. Andrew Jackson earned his reputation for toughness, the undying loyalty of his men, and his nickname, Old Hickory, during a horrific month-long slog of troops along the Trace, having been dismissed at Natchez in 1813. He of course marched them back in 1814 to defeat the British during the War of 1812. Less well known is his crushing of the Creek bands in Alabama and East Florida in the intervening year that won him an appointment as major general. 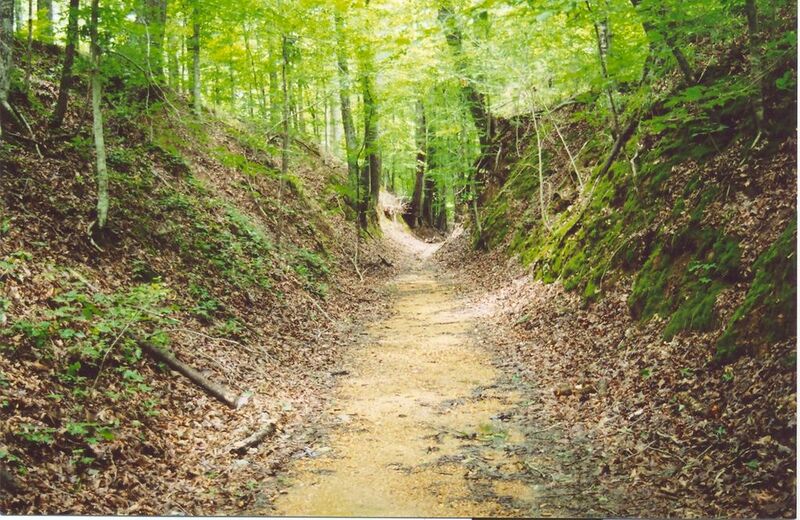 Also less well known is the role of the Natchez trace in the network of slave-trading routes that carried enslaved people from Virginia and the eastern slave owning regions to be sold in New Orleans and the cotton south. The phrase “sold down the river” described a genuine horror. Lincoln’s observations about the slave auctions in New Orleans came with good reason. 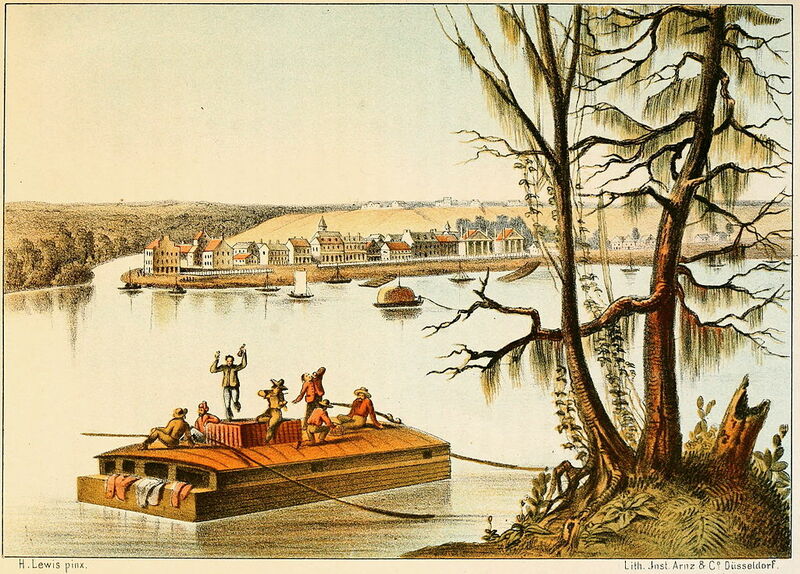 Steam travel arrived on the Mississippi in the 1820s, but overland traffic continued for a considerable period. Newer, better, paved roads were constructed and railroad construction began. Parts of the Trace itself fell into disuse, although paved portions were incorporated into later roads. In 1938 the Natchez Trace Parkway, a unit of the National Parks opened with the ostensible purpose of “commemorating” the Trace. It does not follow the old Trace perfectly; in some places it isn’t even close. It is however, scenic and full of historical spots worth stopping for. There are some remnants of the old Trace close enough to demonstrate that early road so well traveled that parts of it are now up the thirty feet below ground level, dug out by the feet of Kaintucks. Caroline Warfield has been many things, but is mostly a storyteller these days. She lets her characters lead her to adventures while she nudges them to explore the riskiest territory of all, the human heart. In addition to History Imagined, she is a regular contributor to The Teatime Tattler, a blog in the shape of a fictional nineteenth century scandal sheet. Love this article, Caroline! The early trails that helped in the settlement of America provide such a slice of history, don’t they? Great read about this slice of American history, thanks for sharing! That was very interesting. I was wondering what they did with their boats after floating down the Mississippi. I wonder how many farm boys became land pirates on the way back to their home. Great post, Caroline! 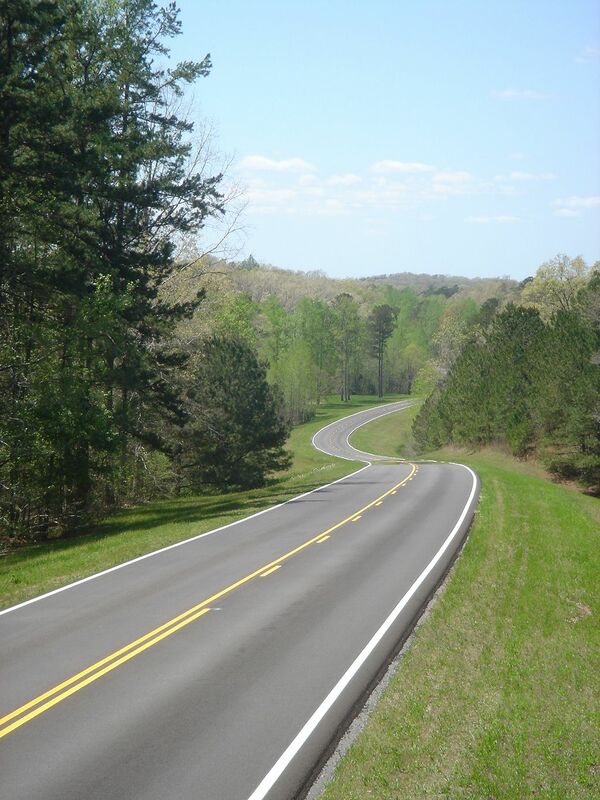 The Natchez Trace is near and dear to my heart! For five years, our son, daughter-in-law, and precious grandchildren lived practically next to the Trace in Clinton, MS. We took the Trace from one side of the county to the other to avoid the traffic congestion in Jackson. It is a beautiful drive! This was an absolutely fascinating look at a piece of American history that I knew nothing about. I adore this website.